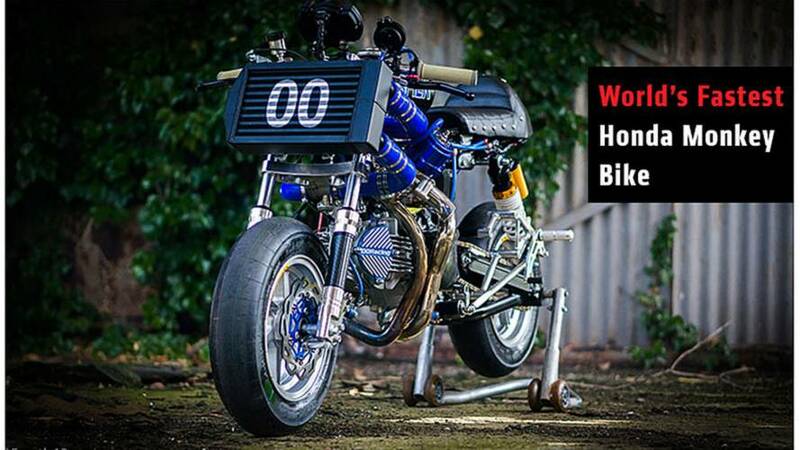 A British company has spent the past four years developing a turbocharged Honda Monkey bike and plans to bring it to the U.S. to try and establish a new speed record on the Bonneville Salt Flats for a small capacity motorcycle. 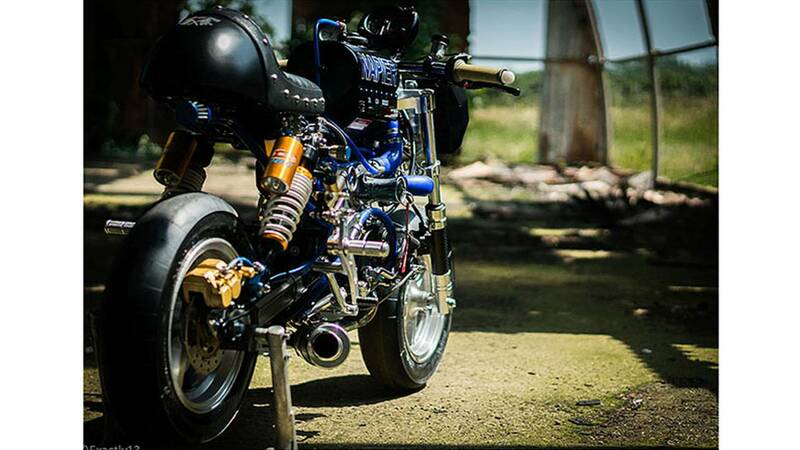 Under the title of Project Napier, OORacing has developed a Honda Monkey Bike that currently develops 50hp and is capable of hitting 100mph. OORacing, based in Sandwich, Kent in the UK, has gained a worldwide reputation for specializing in Honda Monkey Bikes and Chinese built replicas, developing a wide range of engineering parts and after market accessories for owners. 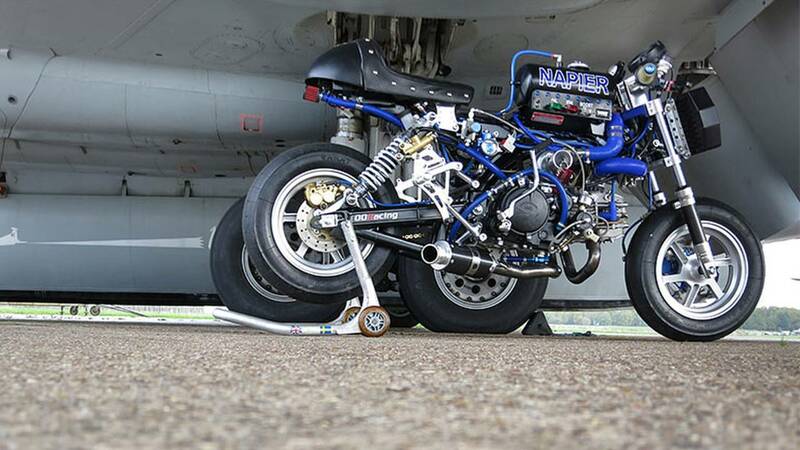 OORacing is owned by Adrian Mortimer and he has close to 20 years of engineering experience in turbo-charging multi-cylinder motorcycle engines. 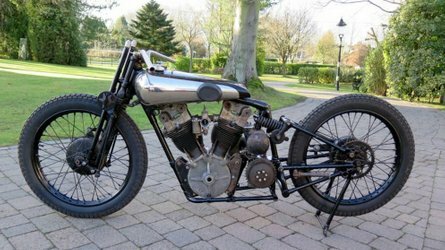 Coupled to Mortimer’s passion for the Honda Monkey Bike he decided with his team that they’d try and develop a blown version of the Honda single-cylinder engine and create the ultimate record-breaking Monkey Bike. Mortimer told RideApart: “Like most dumb ideas, this all started out just as a conversation amongst us down at the local pub. “Thereafter Project Napier just snowballed. Nobody has properly turbo-charged the Honda single-cylinder engine before and there were lots of challenges for us along the way. We’re still in the development stages at the moment and still learning. 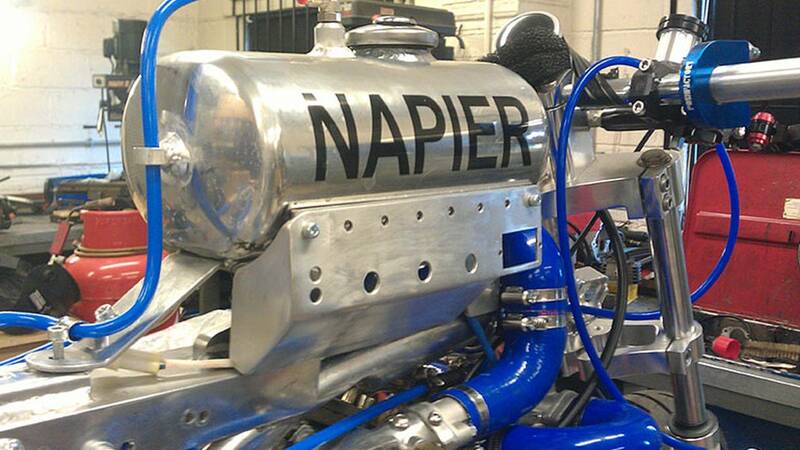 Ultimately our goal is to bring the Project Napier bike to the U.S. and run it at Bonneville. Mortimer and his company OORacing began work on the Honda’s frame, which needed to be altered to accommodate the top mounted turbo. The biggest headache was working on an exhaust and induction pipe layout. “Space is the biggest problem on a Monkey Bike, as there just isn’t any,” said Mortimer. “A large area was already being consumed by wiring for the ECU, fuel pump, lambda sensor and the coil, so it left us with little room for piping. To solve the problem we built a subframe to house the ECU, battery and fuel pump. The OORacing team went back to the drawing board and built a mock-up intercooler out of a cornflake box and then based on that design got custom version engineered and built, which is now mounted on the front forks of the bike and gets far better airflow. “The next issue came from the oil control to the turbo. 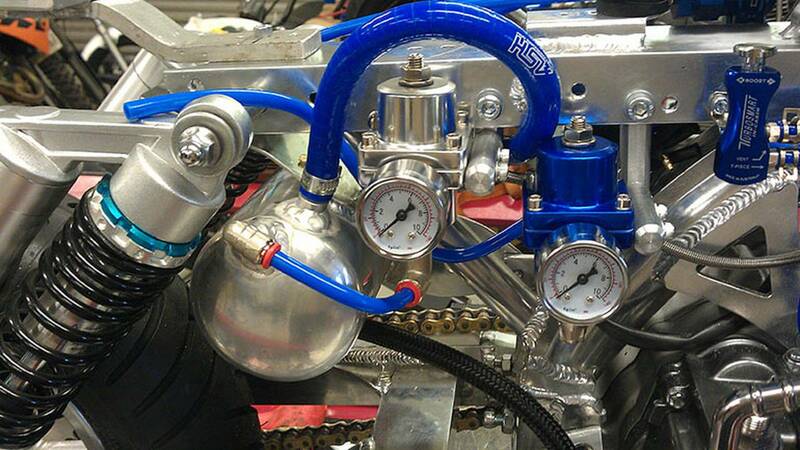 After a lot of experiments, we ended up fitting a needle valve to control the oil feed into the turbo and a small electronic scavenger pump to take oil out,” explained Mortimer. 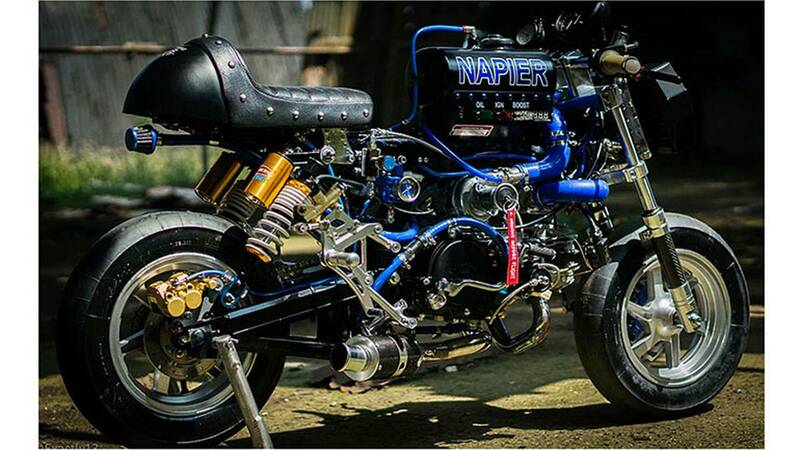 Essentially project Napier is still a Honda Monkey Bike but the front forks are custom made using OORacing own CNC 27mm hydraulic kit with over size 200mm floating disc. The wheels are also custom CNC 10” x 3.50” wide with Sava slick tires. 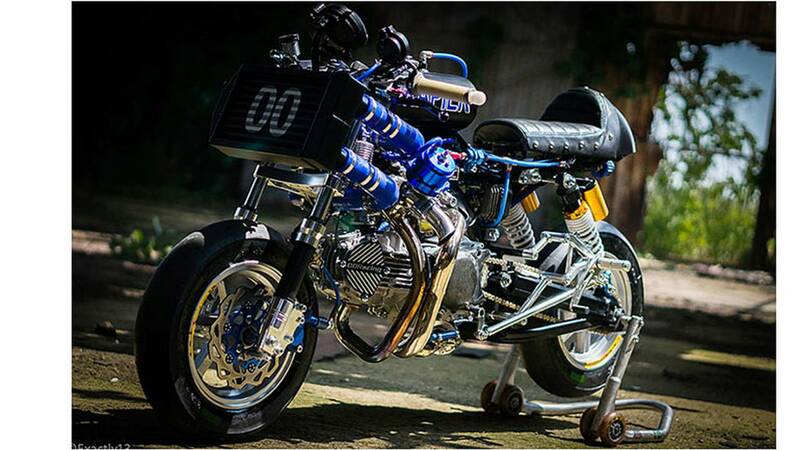 The bike has a full exhaust system and a silencer that was handmade and based on OORacing’s Carbon TTR1 system. OO Racing also made the rear sets with custom mounting brackets and handlebars. The entire bike weighs in at around 165 lbs. 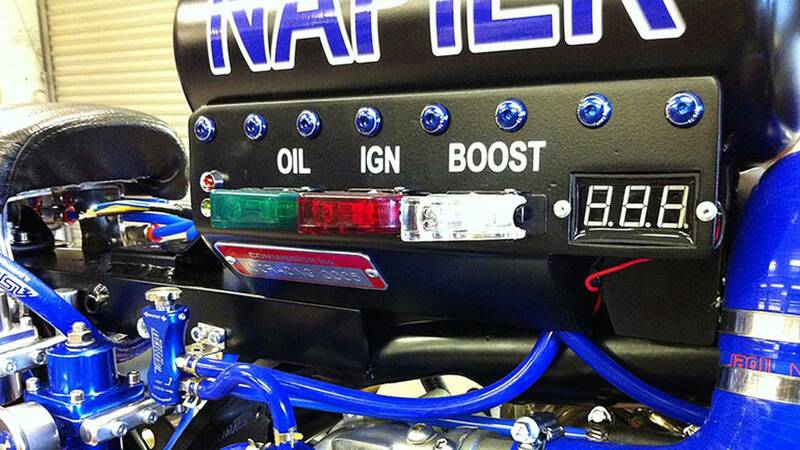 Project Napier has run several times but the OORacing team still consider it to be work in progress. At present, Mortimer estimates the turbo is producing around 12 lbs of boost, (it could produce more but there is a danger it might detonate the engine) but Mortimer thinks more work still needs to be done to retard the engine’s ignition and change the fuel ratio. 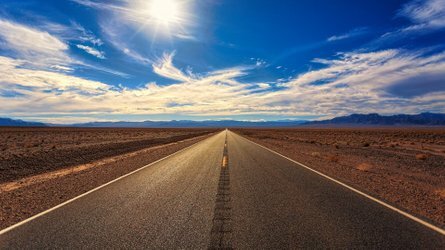 “We’ve increased the engine’s power in stages. 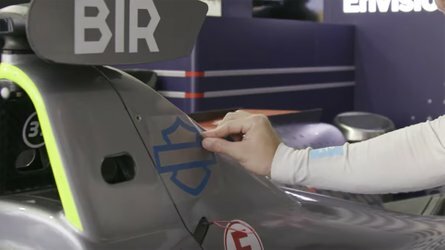 At the moment, from the rolling road tests we have done, we think we’re hitting around 50 plus horse power at 7,000 rpm but only for a short period because as soon as it gets to that point it then over chokes itself,” he said. 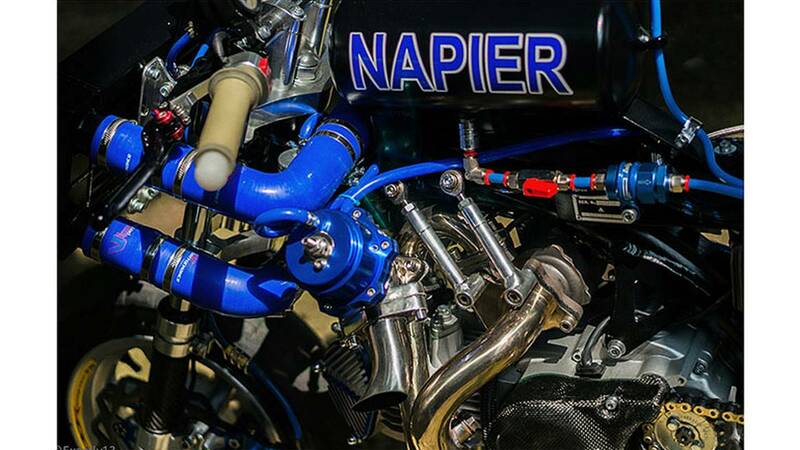 Currently, OORacing has four engines that it’s developing for Project Napier – from 170 cc to 190 cc to try and establish which set up works best for the current fuel injection system its using and the turbocharger. 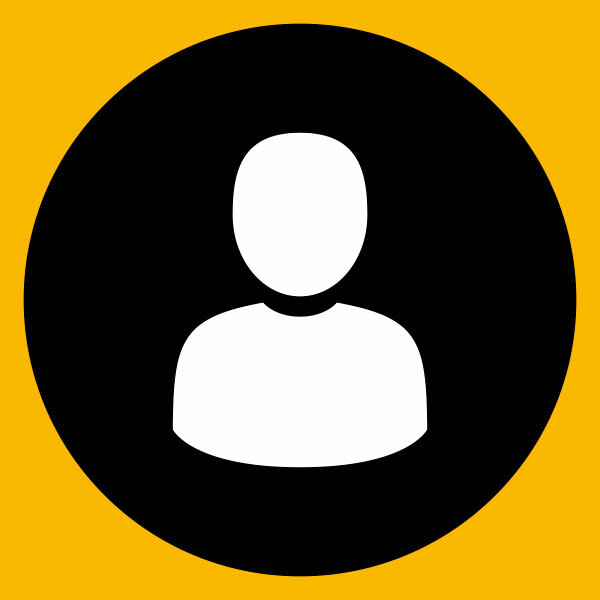 “Project Napier started out as a fun idea and that’s what we intend to keep it as. 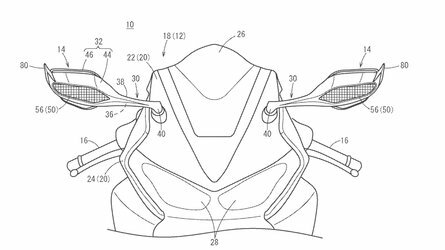 We’ve learned a lot about turbocharging single cylinder engines and we really hope to bring the bike to Bonneville to see how it performs,” said Mortimer.